In Australia, about 10 people die each year from lightning strikes. A hundred more gets injured each year. To be safe, at the first signs of visual lightning or audible thunder – go indoors. No place outdoors is safe. How about lightning strikes on commercial planes? Is it safe to fly in lightning? Commercial planes are hit by lightning daily and designed to take lightning strikes. Lightning typically strikes a relatively sharp edge of a plane, like a wingtip or nose, and the current exits via the tail. This happens because an aircraft’s body acts as a Faraday cage. A Faraday cage operates because an external electrical field causes the electric charges within the cage’s conducting material to be distributed such that they cancel the field’s effect in the cage’s interior. When a lightning strikes an airplane, the energy and electric charge run around the outside of the vessel, protecting the interior from any voltage. 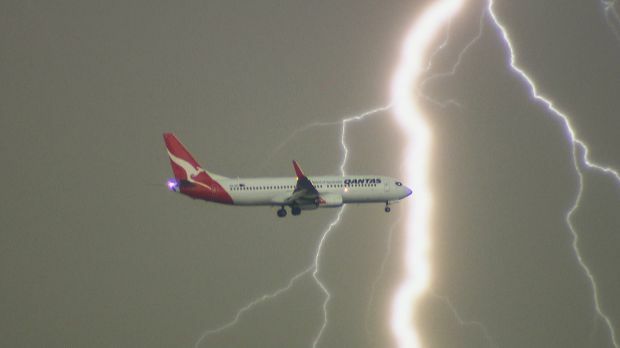 Therefore from a safety standpoint, lightning strikes on commercial planes are not a severe problem compared to turbulence or hail damage which can cause more catastrophic consequences.